When Must Taxes Be Paid on IRA and Employer-Sponsored Retirement Funds? Traditional IRAs and most employer-sponsored retirement plans are tax-deferred accounts, which means they are typically funded with pre-tax or tax-deductible dollars. 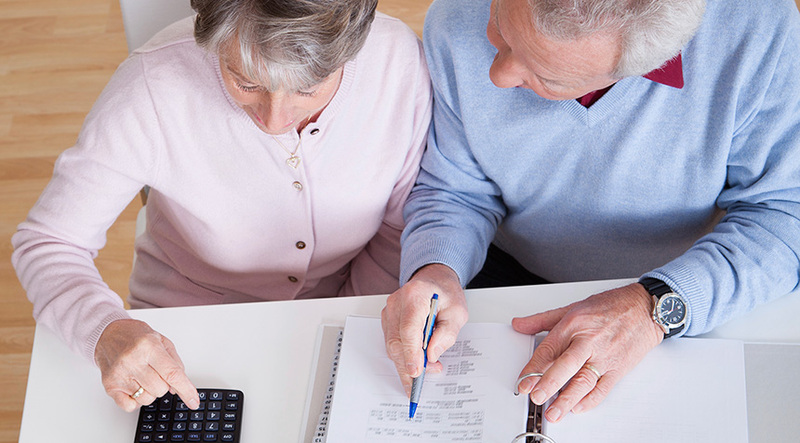 As a result, taxes are not payable until funds are withdrawn, generally in retirement. Withdrawals from tax-deferred accounts are subject to income tax at your current tax rate. In addition, taxable withdrawals taken prior to age 59½ may be subject to a 10% federal income tax penalty (a number of exceptions from the penalty tax are available). If you made nondeductible contributions to a traditional IRA, you have what is called a “cost basis” in the IRA. Your cost basis is the total of the nondeductible contributions to the IRA minus any previous withdrawals or distributions of nondeductible contributions. The recovery of this basis is not counted as taxable income. Traditional IRAs, most employer-sponsored retirement plans, and Roth 401(k), 403(b) and 457(b) plans, are subject to annual required minimum distributions (RMDs) that must generally begin after you reach age 70½. (The first RMD must be taken no later than April 1 of the year after the year in which you reach age 70½.) Failure to take an RMD triggers a 50% federal income tax penalty on the amount that should have been withdrawn. Roth IRA owners never have to take RMDs; however, the designated beneficiaries of IRAs and employer-sponsored retirement plans do have to take RMDs. When you begin taking distributions from your retirement accounts, make sure to pay attention to any required beginning dates and the appropriate distribution amount in order to avoid unnecessary penalties. Investment adviser representative and registered representative of, and securities and investment advisory services offered through Voya Financial Advisors, Inc. Member SIPC. Michigan Financial Planning is not a subsidiary of nor controlled by Voya Financial Advisors, Inc.
Investment products and services from this representative(s) available only to residents of Michigan and Florida.